The Occupational Safety and Health Administration (OSHA) wants every workplace to be as safe as possible. While routine inspections and firm regulations can go a long way in achieving that mission, OSHA often relies on workers themselves to report any safety or environmental lapses within the workplace. Unfortunately, this puts many people in an uncomfortable situation. Some employers have a reputation for blacklisting employees that report safety violations, workplace accidents, or hazards. As a result, many employees are stuck making the decision of whether workplace safety is more important than their paycheck. We’re here to tell you, federal laws protect you from having to make that decision. The Occupational Safety and Health Act (OSH Act) provides specific protection for employees who report workplace hazards. These employees, referred to as “whistleblowers,” are sheltered from employer retaliation by OSHA’s whistleblower laws. These laws state that employers do not have the right to discriminate, alienate, or otherwise retaliate against an employee who exercised his right to speak against workplace dangers. Specifically, these laws address employer discrimination with regards to unjustifiable termination or suspension, transfers, demotions, or reassignments, pay or work hour reductions, promotion denials, and threats or intimidation. When Do Your Actions Qualify for Whistleblower Protection? Most people do not report workplace concerns to get their employers in trouble—they simply want a safe place to work. Unfortunately, many employers take these reports as threats, and in turn, they try to punish the employees responsible. No matter the form of retaliation, OSHA offers protection from such actions as long as your action as an employee falls under the Occupational Safety and Health Act’s whistleblower protection laws. Your actions fell under the administration’s definition of a “protected activity” when your employer began retaliating. Protected activities include reporting workplace hazards to your employer or OSHA, filing for workers’ compensation or medical leave, or assisting OSHA in an investigation. 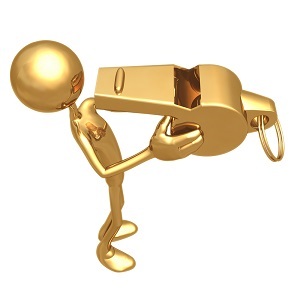 Your employer knew that you were exercising your whistleblower rights. Although rare, it’s possible that your employer may not have known that you were executing your employee rights when he decided to cut your hours or deny your promotion. OSHA will investigate the situation and determine whether his actions correlated with your protected actions. Your employer acted against you adversely, either through retaliation or discrimination. Has your employer’s attitude changed since your report? Is it obvious that his actions are specifically aimed at you? If you’re punished for exercising your rights under the OSH Act, you’ll have a window of 30 to 180 days (depending on the laws that your action was covered by) to file a complaint with OSHA on the national level. When reporting a safety violation, you have the right to request that your name is not revealed to your employer. However, if he somehow finds out and retaliates against you, you can file a complaint with OSHA. Whistleblower complaints can be filed in person, or by writing, calling, emailing, or faxing a complaint to your local OSHA office. There is no official form; simply write a statement in your own words explaining the situation, and OSHA will review and investigate your case. If OSHA determines that you were discriminated against under the OSH Act whistleblower laws, an order will be issued to your employer to reinstate your position and refund your back pay. We all need to work for a living, but that does not mean your employer has the right to put you into a dangerous situation that you do not feel comfortable with. Yes, some jobs are inherently dangerous, but your employer should be following all proper guidelines to keep you and your co-workers safe. If your employer has acted against you negatively and you believe that it was caused by your protected activity, contact your local OSHA office immediately to file a complaint. For more information on your employee rights, contact our office today at 713-921-417 for a FREE in-depth discussion of workplace safety and workers’ compensation benefits. Can I appeal a decision about my Texas workers' compensation benefits? Are Older Workers Always Safer Workers?